I love the holidays! I am crazy about good food and definitely eat my share during the holidays. 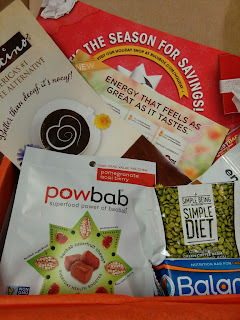 This New Year I am starting out with my Bulu Box subscription. Bulu Box is a monthly subscription box with samples of healthy items. Simple easy way to try new healthy products. You complete a profile giving Bulu Box info about your likes and dislikes. Each month you get in the mail 4-5 samples based on your profile. I really like the fact that I can try out a product before buying full-size. So often I have bought full size and end up wasting the product and my money. For only $10 a month you get to try out great products. What is really nice with Bulu Box is that they also sale the products. Making ordering super easy. Click HERE to check out How Bulu Box works!